Who can use Text Your Prospect? 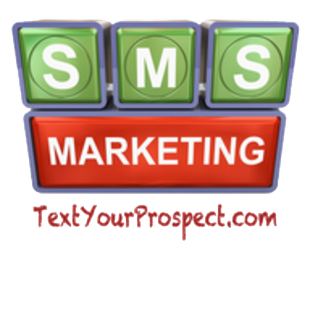 Over 50,000 businesses, groups, and individuals use Text Your Prospect group SMS service. Our flexible mass text messaging software is used as both a communications tool and a text message marketing platform. Whether you're a Fortune 500 company, a non-profit, or a small community group, text messaging can enhance your organization's marketing and communication efforts. You don't have to be a marketing expert to get results from Text Your Prospect's powerful SMS features, which offer quick, convenient, and cost-efficient member and customer engagement. Break through the clutter of nightlife promotions with a targeted message that won't be ignored. Whether you're sending VIP passes, food and drink specials, comp admission, or special prizes, club-goers love the convenience of receiving specials via their mobile phones. Plus, your customers can instantly respond to text message offers with a simple click. Education / Non-Profits / Community Groups. With hundreds (or even thousands) of people attending events, Text Your Prospect provides an elite technology to capture customer data and thus enhance future marketing efforts. Give attendees the opportunity to sign up for upcoming event notifications directly on their cell phones, so you can engage with them throughout the year regarding relevant promotions. With our interactive SMS software, the on-site promotion opportunities are endless: alert attendees to special concessions, merchandise, or other offers while actually at the event. Text Your Prospect is a powerful, affordable group text messaging solution for your church, temple, or other religious organization. Reminders, prayer requests, and youth group management are some of the most common uses of group text messaging for faith-based groups. Over 1,000 such organizations have already discovered the power of Text Your Prospect. SMS marketing allows you to build loyalty, up sell your current customers, and drive foot traffic on slow nights. Cold winter day? Offer a special on soup. Want to reward repeat customers? Allow them to text in to receive special deals. To learn more about text message marketing for restaurants. The best relationships in retail are those in which the customer feels rewarded and cared for. Sending coupons, sneak preview sales, and exclusive "VIP" offers directly to their cell phones is an inexpensive and track-able way to enhance customer relationships and ultimately drive sales. In today's busy world, people want immediate gratification. Give house hunters instant access to property listings using Text Your Prospect's keyword solution, and easily communicate with them to set up an appointment or request more information. New to mobile marketing? We've got the resources to help small business owners and entrepreneurs get started. Text Your Prospect was originally built for small businesses.